Here you will see the services we have available to Perfumers and perfume enthusiasts at all levels of expertise. This service is available to customers who would like to come to our Boutique in Scotts Valley and smell a collection of our ingredients prior to purchasing. *$35.00 fee is waived for every $50.00 or more worth of product a customer purchases. New as of 2019 - each additional stamped copy of Certification of Origin now has a separate cost. The first copy charge is automatically added to your order. Here you can select additional copies. As part of our Compounding (Contract Blending) Service, we send out an evaluation sample for approval before blending up the minimum order (1 kg +). A single sample is included in the service free of charge. 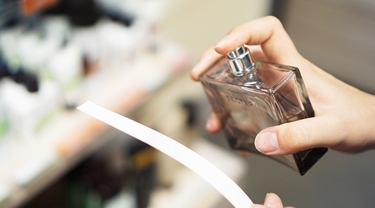 The 'Reformulation Sample' product is available if the Perfumer needs us to reformulate their blend. If reformulation is requested due to an error on our part, this fee would not apply. Available exclusively at our Boutique in Scotts Valley, we are available to help you in constructing a personalized perfume with your input and guidance. Our Compounding (Contract Blending) Service is available to Artisan, Independent and Niche Perfumers at a Minimum Order Quantity (MOQ) of 1kg (1000 grams) of Fragrance Concentrate (not yet diluted in alcohol). This service is available to Perfumers who have already created their formulation, and need to outsource the blending of their concentrated fragrance formula. We do not require IFRA Conformity to Compound, however, we are happy to provide IFRA Conformity Certificates and EU Allergen Reports for your blend. * This fee is credited back if customer purchases 1 (or more) kilos. Contract Blend + IFRA Screening Fee: $100.00 (includes IFRA Conformity Certificate, IFRA Compliance limits (per ingredient, quote, and a 30ml evaluation sample). * $50.00 of this fee is credited back if customer purchases 1 (or more) kilos. Click the product name above for more details. Available exclusively at our Artisan Perfume Lab in Scotts Valley, CA. This Service is available to established Artisan, Independent & Niche Perfumers. Perfumers receive access to our entire fragrance (raw material) library, laboratory tools, safety equipment and Regulatory Services. Our goal is to offer Perfumers a cost-effective way to develop new blends in an industry-level environment without the overhead investment of building your own studio, and sourcing ingredients without knowing what they smell like.